The San Pedro Fire Department along with the San Pedro Police Department quickly responded to a raging bush fire in the San Pablo Area at about 7:10pm on Wednesday, March 28, 2018. It seemed that somebody cleared up the area and lit the bush on fire and left it unsupervised. With the dry spell and gusty winds the fire quickly caught on and had the neighborhood worried. 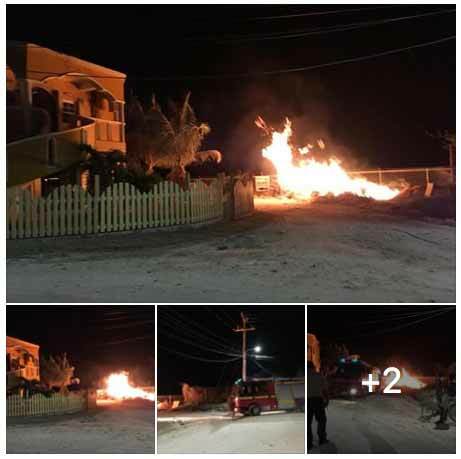 Residents are urged not to burn especially in residential areas. Thanks to both the Fire Department and the Police Department for their quick response and outing the fire.